Cassie L. Rhéaume is General Manager of Lighthouse Labs Montreal. An important realization in my career led me from a path in communications to learn to code and become a web developer. Within a year, I would join a large national organization to implement its new chapter in my community and promote digital literacy among women. It was clear to me that more of us should take part in the way the world was changing, but we had to speak the language of today in order to be real builders of a better future for all. Since then, I have worked towards this goal at every opportunity. An important insight I got from that experience is that more often than not for women, interest in technology develops later in our lives. So, for many people, there is an observation that it is too late to be accomplished in this field, but this is not true. 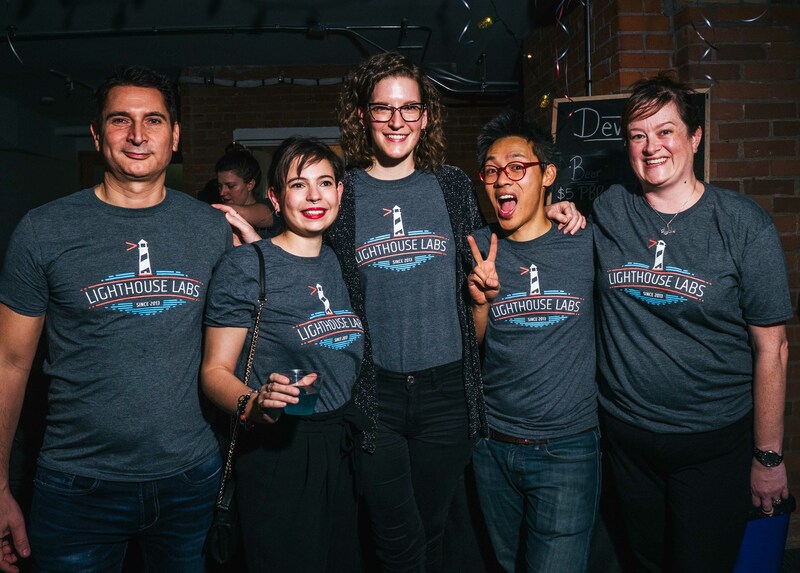 At the same time, in Vancouver, Lighthouse Labs was born, an institution that is now present in six cities across the country, including my home of Montreal. 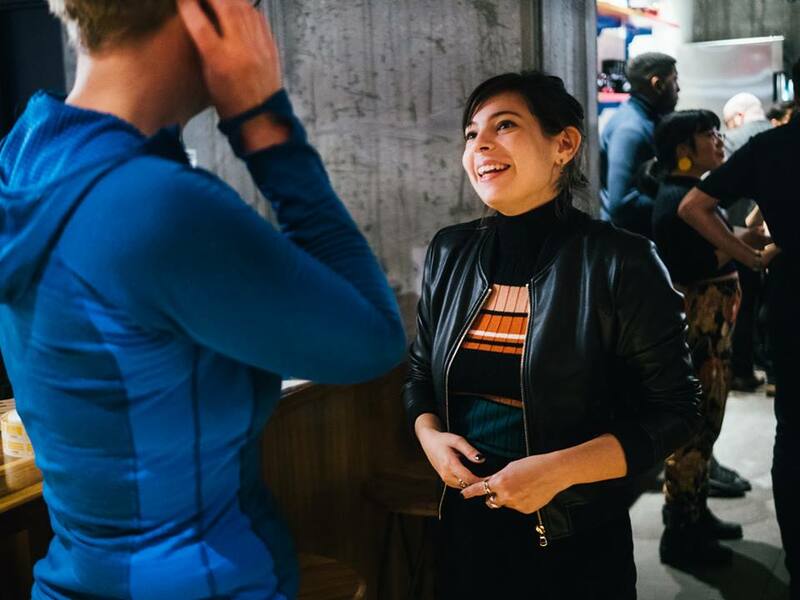 At Lighthouse Labs, people passionate about the web joined together to give birth to a human-centred program oriented on results that would make a career transition possible and tangible to people like me who would be driven enough to complete it. Now, since joining the Lighthouse Labs family last spring, I’ve seen how it was the perfect alignment for my actions of advocating to support women and diversity in technology. From promoting our scholarship program to building a collaboration with the Caisse des Technologies de l'information, working to make our programs more accessible to as many people as possible is my priority. When I joined Lighthouse Labs, I wasn’t surprised to learn that it was founded by three guys. I learned that they were good friends for many years before, and that they were all married to strong and inspiring career women (Hi Jenn, Jess & Farida!). However, this portrait of the Lighthouse founders gave me confidence and I was eager to discover how they had built a company now composed of 80% extraordinary women dedicated to training a new generation of talent for our industry that remains at 80% composed of men. On this International Women's Day, I would like to join my voice with those who have contributed since the beginning, 5 years ago and up to today, to ensuring that Lighthouse Labs is a wonderful vehicle for promoting talent for women and for all in technology. I believe it is important to be grateful to those who have, through their work, their personality, their intelligence and their interest, made us a healthy and productive environment in which to study and work. From our first General Manager of Lighthouse Labs in Vancouver, Sylvia Rayner, who quickly distinguished herself by her ability to support our founding team in an outstanding way and by her great determination, empathy and the grit she showed at that critical time for the company. Now, that grit is a distinctive quality we look for in our students during the admission process. To the one and only Topaz Glazer, the dedicated, strong, and highly intelligent woman who kicked off the HTML500 event created by Lighthouse Labs in order to inspire more people to learn how to code. It was the largest open-access education event in the history of Vancouver and had an overwhelming demand of 500 participants and over 1300 on the waiting list, with one volunteer to lead them all: Topaz. She started the Lighthouse Labs legacy as a women-empowered workplace when she grew from her volunteer position, into leading the marketing team and finally joining the leadership team as Head of Special Projects & Strategic Initiatives where she headed up partnerships with Kids Code Jeunesse and United Way, where many were equipped to support diversity and accessibility. Our Career Services lead Charlyne Fothergill was there at the early start, too. With her HR expertise, she ensured that our students were adequately prepared for their landing in a new world, and she has contributed to generating excitement in our industry towards our alumni, so that they are now expected and well received. Our General Manager Nicole Husain adds something fundamental to any woman that looks at our industry with ambition and ideas. She encourages them not to be afraid to change direction along their careers, because the tech industry spans a lot of verticals and there is a place for every woman and her skills. The movement for supporting women in technology has the wind in its sails. More than ever, we have a place on the agenda and forces are united to make a difference on many fronts. This Women’s Day is a time for reflection as we search for solutions to improve the status of each woman and respect for their rights, while highlighting the progress already made. I’m thankful for my predecessors, those who work with me in Montreal and across the country, in your local communities, in your organizations, in our students and graduates. To be a woman in technology today is to be one more in a team that is already too homogeneous; to contribute to changing conversations; to be present and visible around the tables where decisions are made; to impact many people and make a good life for yourself in an avant-garde industry where anything is possible. From the entire Lighthouse Labs team, the fantastic women who were there from the start until now, from our teachers, mentors, students and alumni, know that we are here to think fairly, build intelligently, innovate for change.